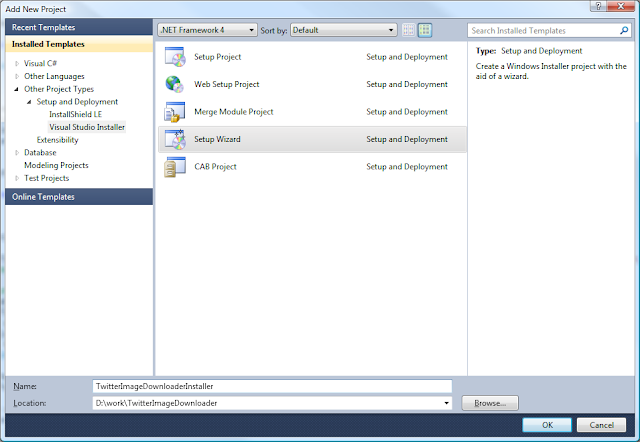 So you created a nice application in C# and want to share it with the world. One way to do it is by creating a distribution package. By doing so Microsoft helps you by adding a few features to your setup process. I'll show you a few in the step by step. First add a new installer project to your solution. Follow the wizard, its fairly simple. Choose the project type you wish to create. 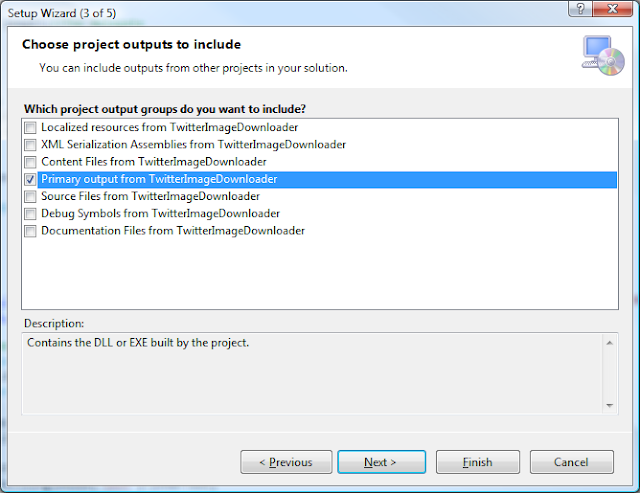 Choose the project output you wish to use. I usually select "Primary output from <Project>" as in the sample image below. The next page allows you to select files to add to the distribution. 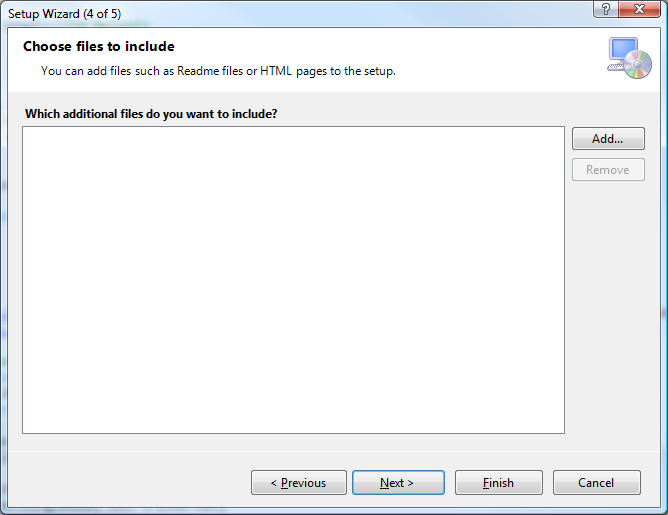 The files can be a readme file, nfo file, images or whatever else you want to add. The final page is the confirmation. At this point your done creating the simple package. Sometimes, your project requires prerequisites to run correctly. 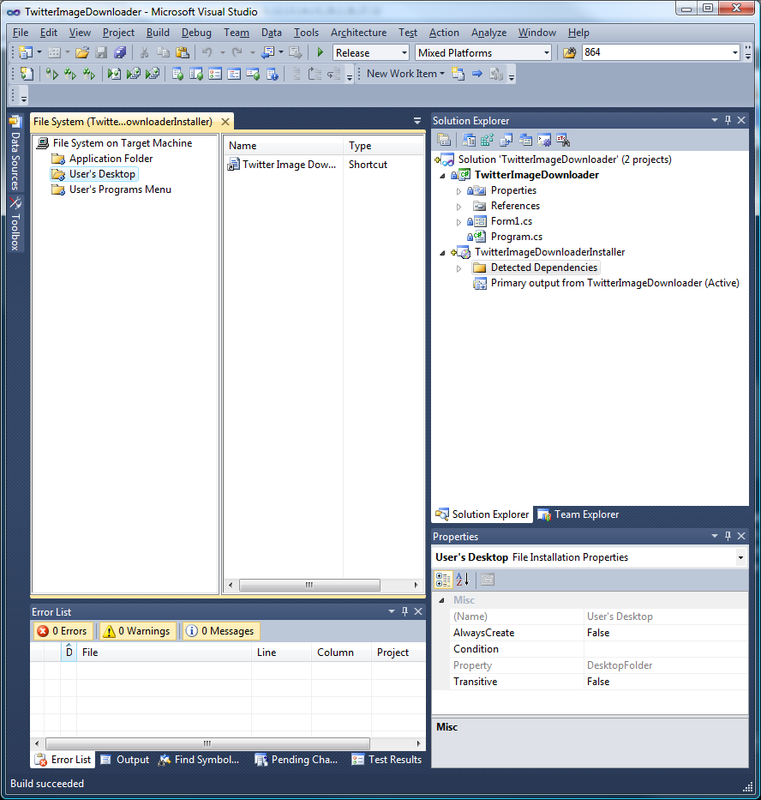 The most common prerequisite is the .Net Framework itself. The Visual Studio Installer allows you to add the prerequisites with your distribution thus helping the user install the application correctly and your program run smother. 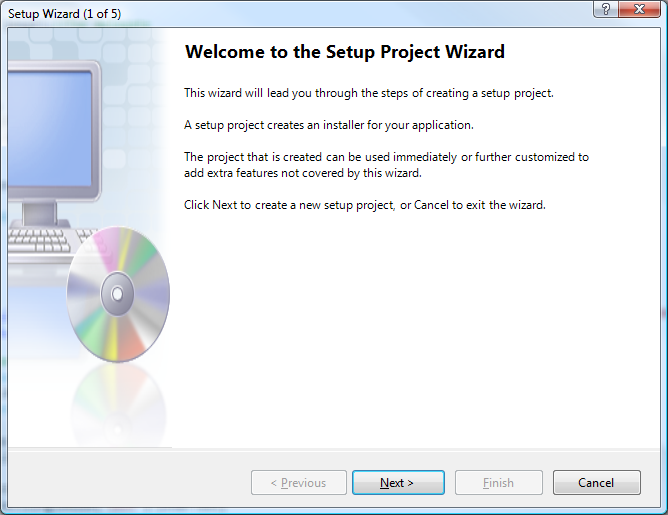 To add prerequisites, go to the setup project and open the properties. Notice the Prerequisites button on the lower right. After clicking the button, we can add the relevant items. 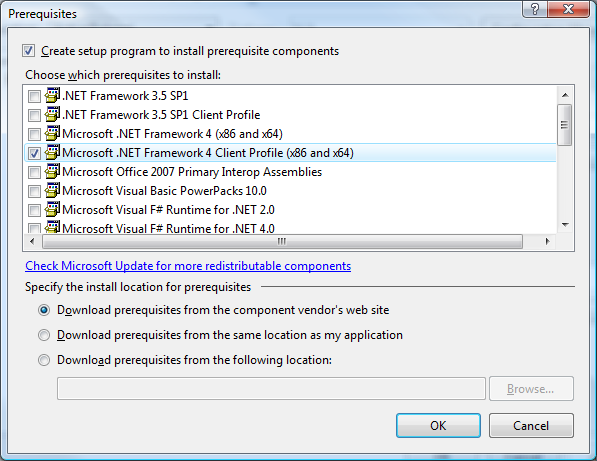 In my case I choose the .NET Framework 4 Client Profile so in the case that the user didn't download in advance, the .NET Framework, the Installation will help the user do so. Notice that you can choose from where you want the component to be installed. Either download from the vendors website (usually Microsoft) or from the location of the application. 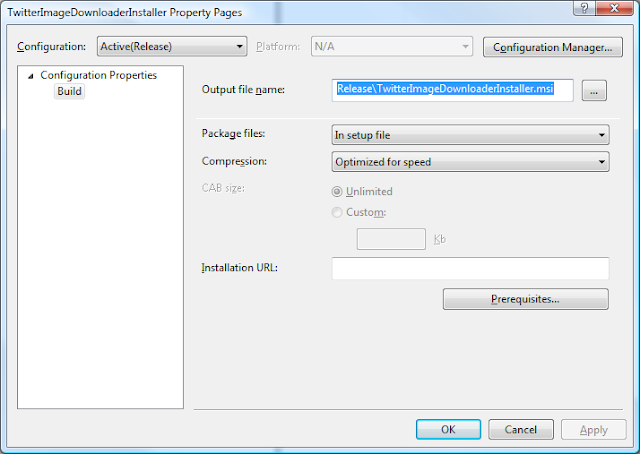 The same location means that the prerequisite will be bundled with your program making the install file larger. I've never found much use for the third option. Go to the Install Projects' File System Editor. 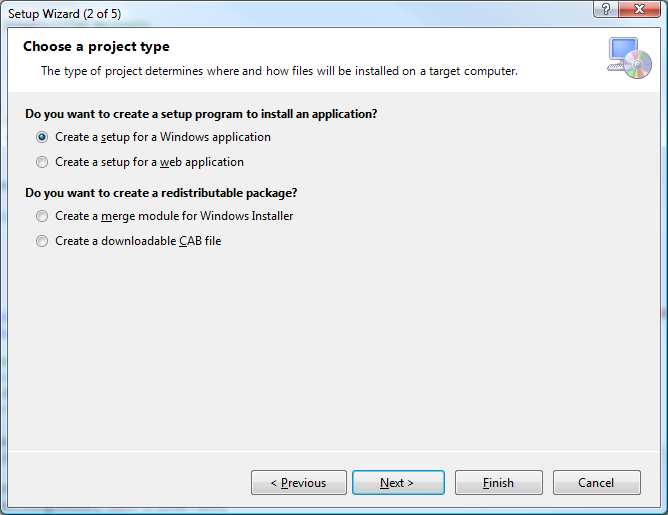 You can find it by selecting the Installer project from the solution explorer and notice the new icons at the top of the solution explorer. The file system editor is the second from the left. You should see the "Primary Output ..." in the window beside it. Right click on the "Primary Output ..." and select the "Create Shortcut" option. Now you can drag the new shortcut to the User's Desktop or the User's Program Menu. I usually rename the shortcut as well. The Installer has loads more features, if you find any good ones, leave a comment. Lifehacker Posted today on their twitter feed that Adobe is offering free downloads of Creative Suite 2 (http://lifehacker.com/5973750). These old versions are quite good and will match most of the casual users needs so it is a great catch. The only problem is that within hours of the post, Adobe took down the download link and the reason is not very clear. Either the amount of traffic on the adobe site was to much or they wanted to back down from the deal. In any case, the link itself to the download is down(https://www.adobe.com/cfusion/entitlement/index.cfm?pid=4485850&e=cs2_downloads). download before the links go down as well.